Industrial buildings: The ugly ducklings of architecture? They used to decisively shape a city's image, then they were largely banished from the cities: Industrial buildings: This change in urban planning was unfortunately also reflected architecturally. While some factory buildings from the late 19th and early 20th centuries located in city centers may attract industrial romantics today who convert them into residential and commercial spaces, buildings of a vintage often do not enjoy this popularity, not only because of their decentralization. The reason: They are simply far from any aesthetic standards. 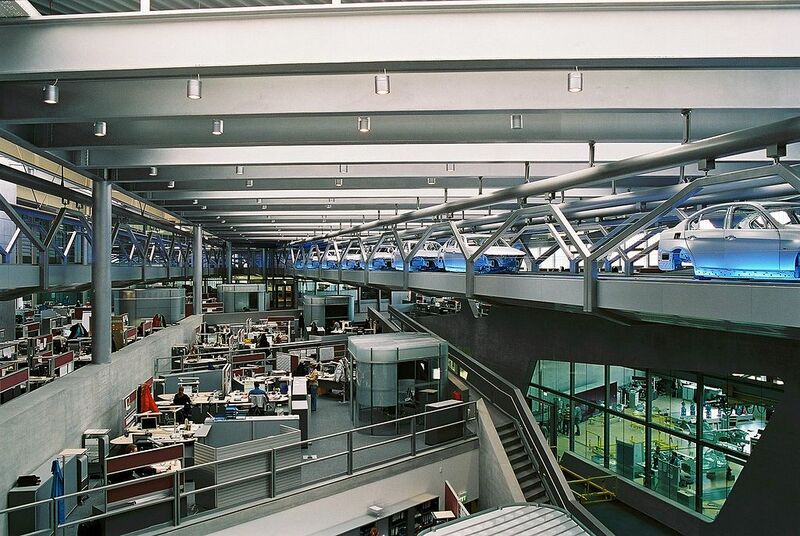 Fortunately, many architects are warming to the idea that industrial buildings can and should be formally appealing. Many industrial buildings today are located - quite rightly - in industrial zones outside or at the edge of the city due to the increased environmental pollution caused by noise, exhaust fumes, smell etc.. Unfortunately, the form of such architecturally "marginal figures" seemed to have only been subjected to practical considerations. A practice that meanwhile is being revised by architects. The fact that industrial architecture can be much more than just walls and a roof for man and machines is illustrated by the following two examples. Each is, in itself, not just a piece of extremely successful architecture, but was also characterized by a completely new concept (at the time). One milestone of modern industrial buildings is, without a doubt, Zaha Hadid's main building for the Leipzig BMW factory built in 2005. BMW wanted an explicitly new aesthetic look for a building in which all the activities of the plant are brought together and branched. The formal implementation of this specification by ZHA consists of two sequences, the scissor-shaped terraced plates which run over each other, thus forming two huge steps. All factory movements merge here using a transparent, multi-functional room program. Engineers and administrative staff can see each other at work. A conveyor belt which runs across the room with auto bodies on their way to the paint shop makes everyone aware what of their work is. 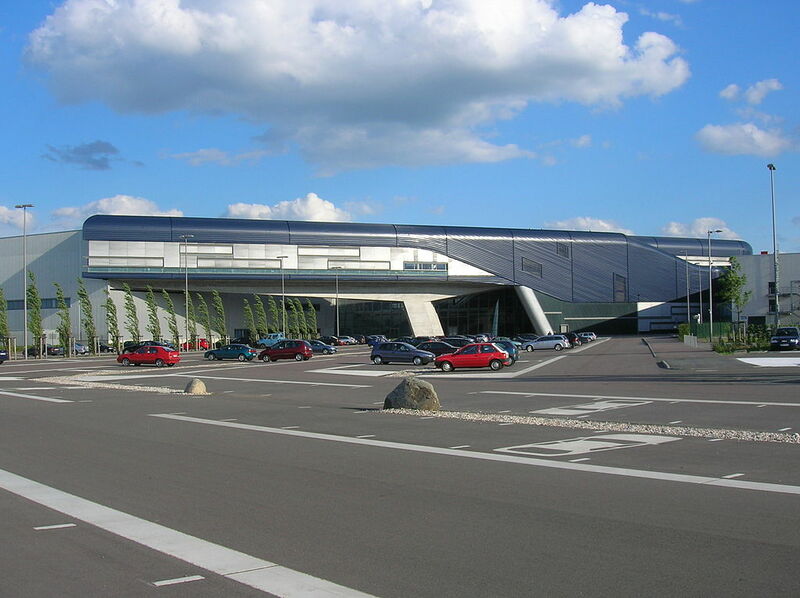 The BMW plant in Leipzig, however, has one major shortcoming: Only the heart of it is a Hadid masterpiece, the rest of it is a rather uninspired, box-like factory building. The plant was given the Industrial Excellence Award 2013 for the best European factory as well as being chosen as the overall European winner. Hadid's main building had already been given the German Architecture Award in 2005 for innovative design and the creation of a new form of industrial architecture. Where Zaha Hadid was once the trend setter, today it is BIG that is stepping into unknown territory in terms of industrial construction. It is doing so with a property that is innovative on several levels while thoroughly serving the common good. The new Amager Resource Center in the east of Copenhagen, which was finished in 2017, is far more than just an aesthetic eye-catcher. On the one hand, state-of the art technology is put to use in the garbage-fired power plant, which makes it one of the most efficient and cleanest in the world. 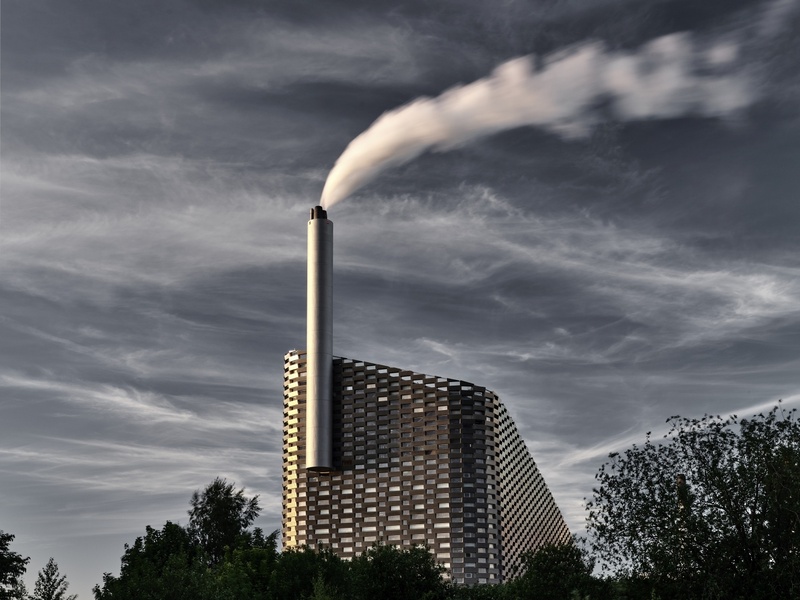 On the other hand, the residents of Copenhagen who live next to the garbage disposal plant benefit from it, in addition to the supply of green heat energy and electricity, in a totally unexpected and different way. 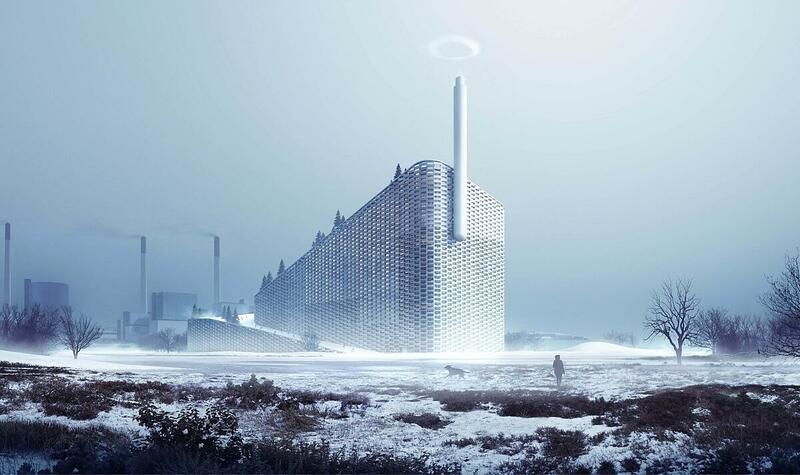 It is not by chance that the new power plant is also called “Amager Bakke” (Amager hill). In fact, its roof forms a winding slope. On this, four ski slopes will run after its opening (probably in the fall) 2018. But the mountaineering connection does not stop there. One part of the facade will be the world's largest artificial climbing wall at 86 meters high and ten meters wide. 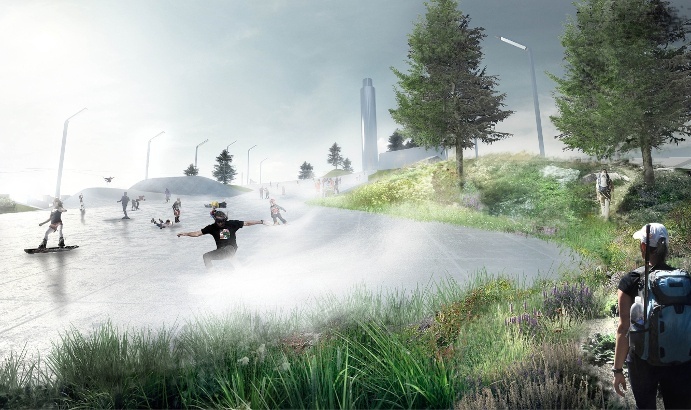 A jogging path and a café at the upper end of the slope round off the power plant / recreation area / mountain sports center. Amager Bakke is more than a curious mixture of disjointed features. It is an industrial building which makes a direct approach to people in a completely new way and which returns to the city. 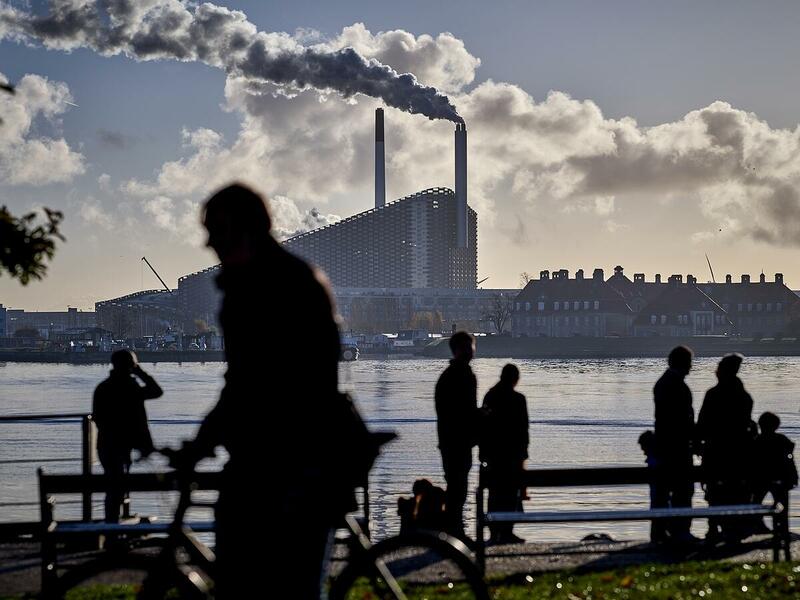 Although the power plant is located on the outskirts of Copenhagen, it is by no means isolated. The opera and the art academy, for example, are only five minutes away by car. This proximity to people has become bearable with the aid of the latest combustion and filter technology through which the air around the power plant is actually better than that in the center of the city. By the time of the opening, BIG will also prepare a visual display of these clean emissions - in the form of cartoon-like smoke rings.